Fabulous home in the Trailsâ five bedrooms plus office, and two bonus rooms which could be exercise rooms or play areas!! The updated island kitchen opens to a spacious family room and overlooks the pool, patio, and entertaining area with built in barbeque! The elegant formal living room has volume ceilings and is next to the large dining room with French doors. Master bedroom suite has a sitting area, two walk in closets, and views of the serene setting. There are expansive views from all the upstairs bedrooms. The private backyard paradise includes a pool, sport court, lush lawn and garden area with meandering pathways and a Mt. Diablo view. Recent upgrades include freshly painted interior, new carpeting and more! 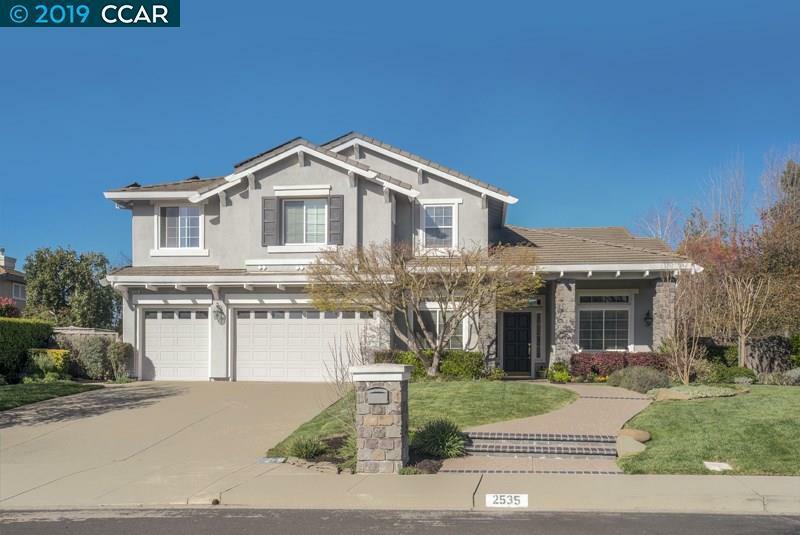 Close to Livorna Park, SOLAR FOR ELECTRICITY INCLUDED, award winning schools, shopping and Mt Diablo trails! Open house April 14, 2-4:30. Flooring: Hardwood Floors, Stone (Marble, Slate Etc.